Unicode is the standard that allows computers from all across the globe to be able to represent text that's compatible with most international writing systems. It's widely used in the internationalization and localization of software applications, and if you have any ambitions of bringing your application to an international audience, you'd best be working in Unicode. But what if you JUST found out about Unicode's significance (like in this paragraph)? Do you have to start all over? Not with UTFCast Professional! 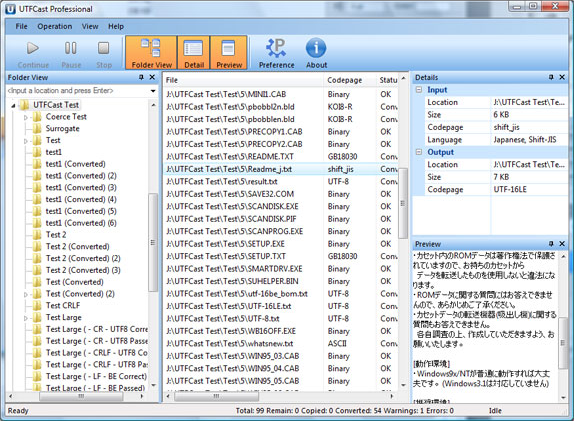 UTFCast Professional is a tool that lets you batch convert all text files to Unicode with just a click of your mouse. 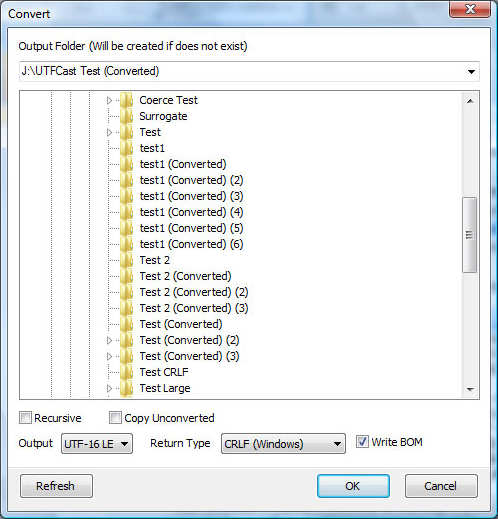 You can use UTFCast Professional to convert a directory full of text files to an output directory, while maintaining the directory structure of the original files. It doesn't even matter if your text file has a different extension -- UTFCast Professional can automatically detect text files and convert them, and also has the ability to recognize over 30 codepages! You may think that your application has too many text files to use UTFCast Professional. Fear not! UTFCast Professional is not so easily overwhelmed -- in fact, UTFCast Professional can convert over 20 megabytes of text per second with full support for multiple cores! New to v1.4: Full support for UTF-32 (UTF-32BE and UTF-32LE) and two unusual UCS-4 (UCS-4-2143 and UCS-4-3412) encodings. New to v1.4: Average conversion performance increased from 20MB/sec. 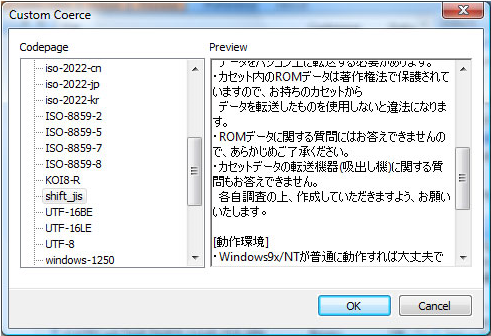 to 40MB/sec. Can finish converting a ~300mb file in about 7 seconds! Extend your application to an international audience. Preserve the original directory structure of your text files. Convert text files of unlimited size to Unicode in seconds. Enjoy support for over 30 codepages. 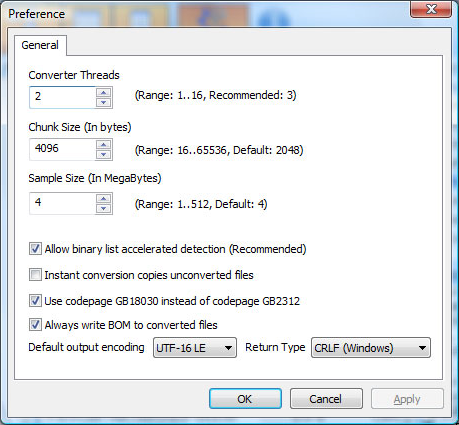 Automatically detect and convert text files.